When the Adelaide Fringe comes to town, Adelaide really comes to life! With shows, pop up bars, street parties, parades and much more, there is something to entertain everyone. 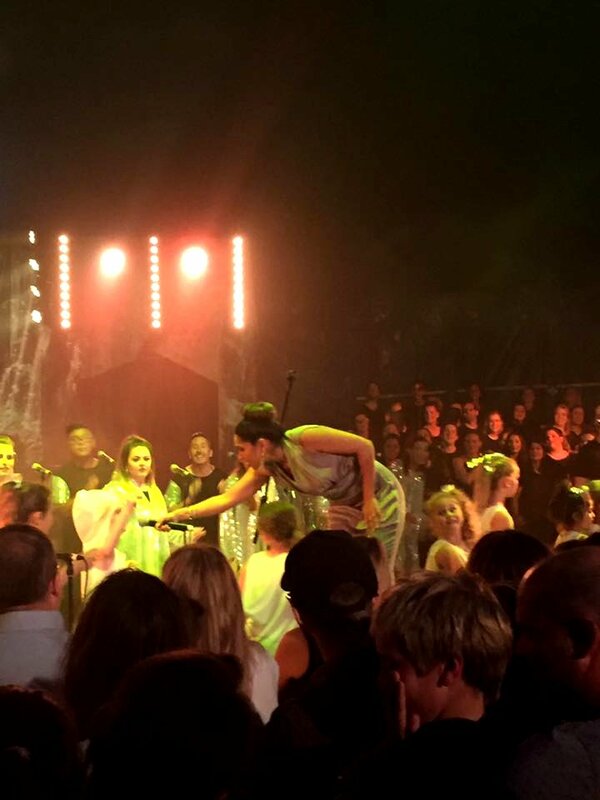 On Wednesday, Adelaide Food Central was invited to the opening night of Gospolation. 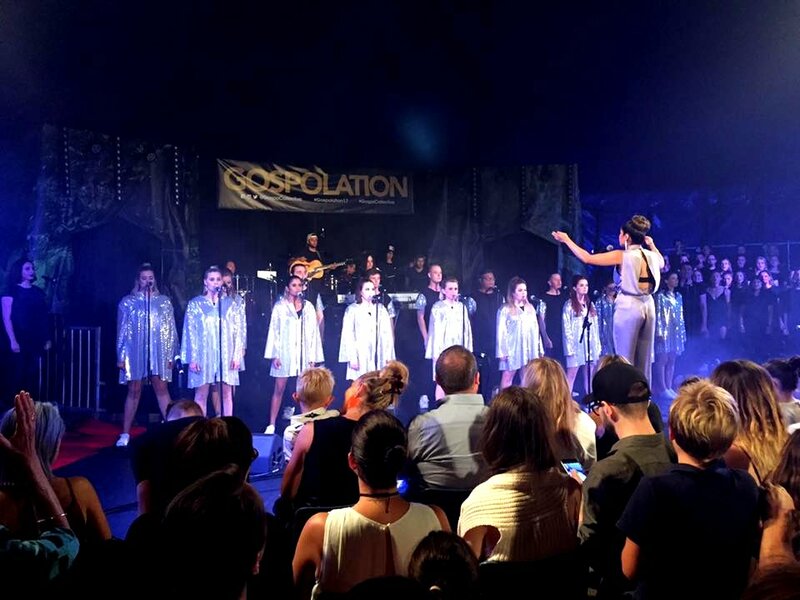 Located in the Cirque Africa Bigtop on Hindmarsh Square, we were presented an evening filled with 85 energetic gospel choir members, a ‘Gospo band’ and a director with a passion and love for gospel music. Director Charmaine Jones-Devasagayam choir was full of big voices, enthusiasm and gorgeous smiles. Charmaine’s passion and love for gospel music shined through her singing and the vibrant and spirited choir. 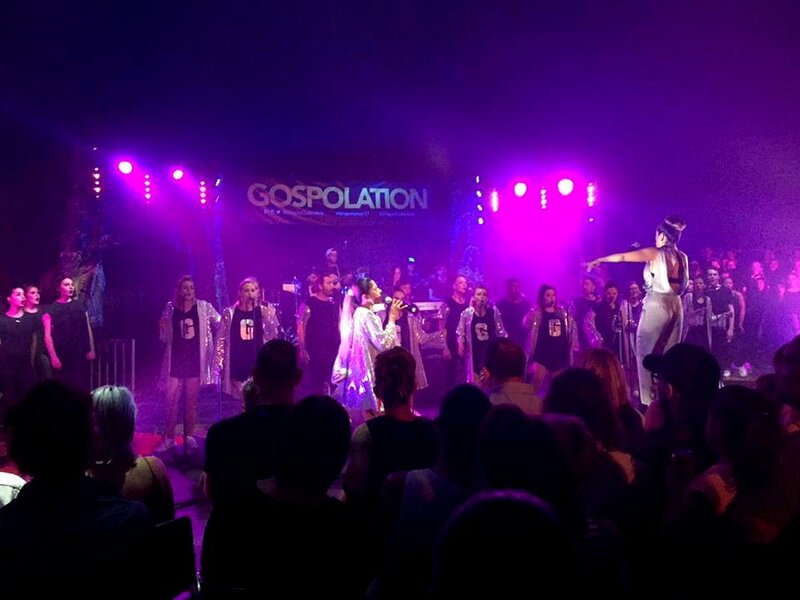 Alongside Charmaine was the ‘Gospo Band’, the ‘Gospo Collective Choir’ and the ‘Gospolation Backing Choir’. We were also lucky enough to be joined by the ‘Jones Junior Choir’ which involved students ranging from 4-12 years old. With great admiration, we noted that Charmaine involved her close friends in the choir, including Maggie Beer from the Barossa Valley. The choir mixed genres of soul, RNB, and Pop covering artists such as Rhianna, Justin Timberlake, Neiked ft Dyo, The Weekend, Aretha Franklin, Prince, Janet Jackson, Bruno Mars, Earth, Wind and Fire, Fat Man Scoop and Kirk Franklin. Each and every singer had so much drive to entertain the audience and provided them an amazing show. Special thanks to Little Lion PR for having us at this beautifully well presented and highly entertaining fringe show.